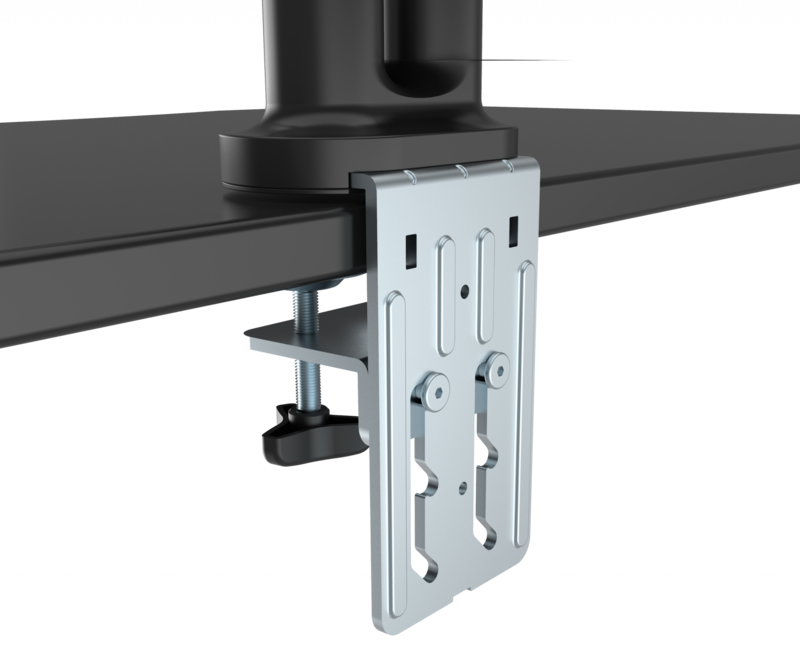 The Vision Flat-Panel Mount – Desk range is tough and flexible. 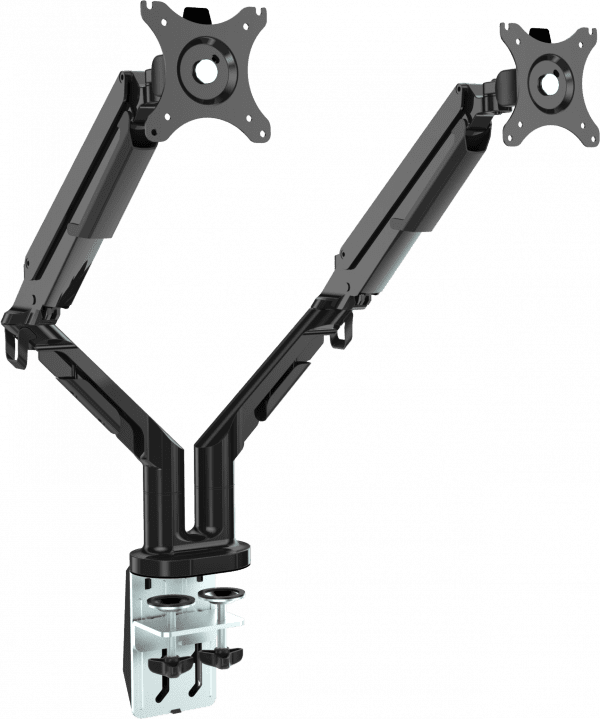 The VFM-DAD (desk arm dual) accommodates two flat-panel LCD or LED screens which have 100 x 100mm rear mounting holes; almost all computer monitors. 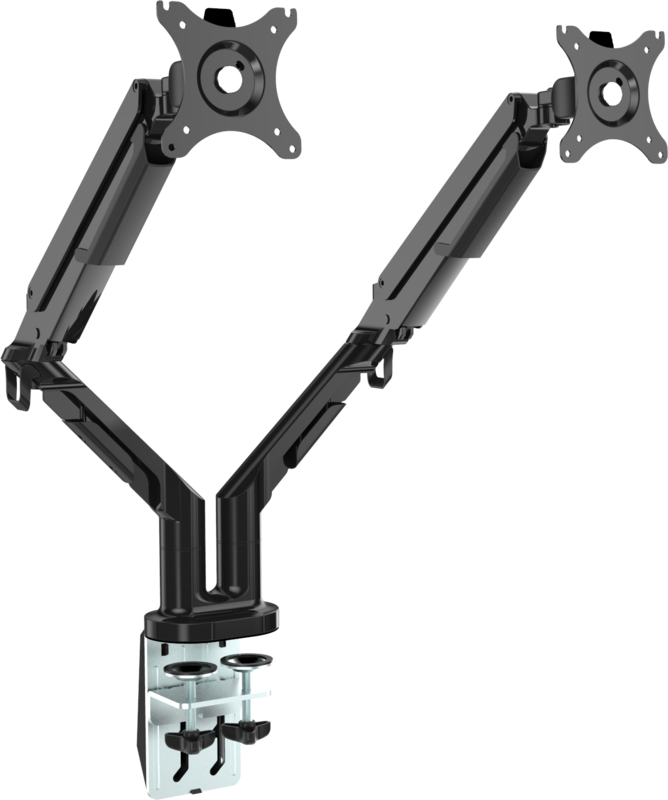 The VESA plates attach to the rear of the displays then clip into position on the arm, making assembly fast and easy. The VFM-DAD can support two monitors up to 18 kg (40 lbs) in total. Fits screens that ranges from 10″ to 34″. 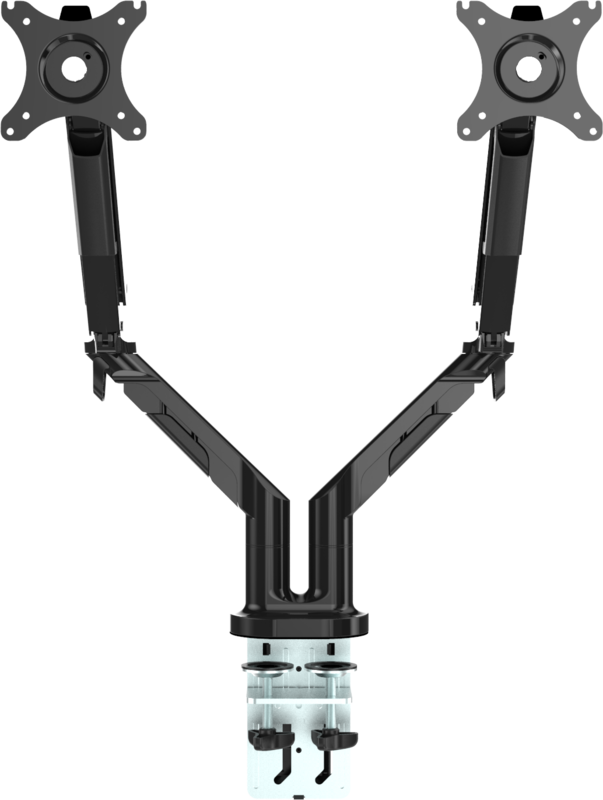 If a larger displays have the correct mounting points and weighs less than the SWL this mount can support it safely. The VFM-DAD can be clamped or a fixing adaptor is included to bolt it to the table (requires drilling hole in table). Move each display up and down independently to get the right ergonomic setup. 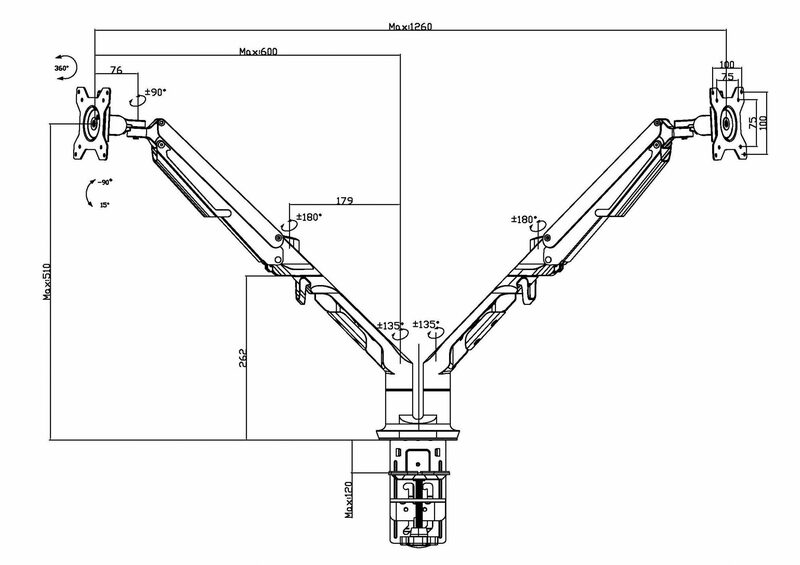 The centres of the displays can be up to 1200 mm (47.2″) apart. The maximum height from the desk top to the centre of the screens is 510 mm (20.1″).